Dr Ingi Iusmen is Lecturer in Governance and Policy within Politics and International Relations at the University of Southampton. I am Lecturer in Governance and Policy at the University of Southampton (PAIR). My research tackles key questions about the European policy process, protection of international children’s rights, EU human rights policy, and democratization of Central and Eastern Europe. I specialise in three areas: (1) EU public policy (including children’s rights), (2) minority protection and discrimination policy and (3) Central and Eastern Europe. In EU public policy and children’s rights, I examined how the EU advances children’s rights principles as part of its internal and external policies. I’m currently investigating how the rights of unaccompanied migrant children are being protected at national and EU level. In the field of minority protection and discrimination policy, I researched the protection of the Roma at the EU and national level, by focusing in particular on the issue of anti-Gypsyism. 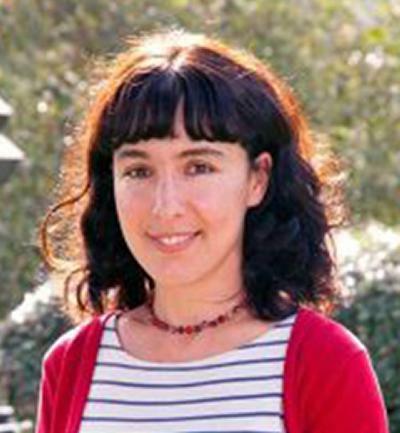 I am currently working with Dr Sara Benedi Lahuerta (School of Law) on a project examining the experiences of EU nationals (e.g. Polish community) in the UK post-Brexit. In Central and East European Politics, I researched the EU accession process and democratic backsliding in countries such as Romania and Hungary. Within this field, I currently investigate the effectiveness of EU anti-corruption policy in countries such as Romania and Bulgaria. In all my research projects I have collaborated closely with research users (civil society groups, NGO networks, policy-makers etc.) based in the UK and in Brussels, by providing them with expert advice and by contributing to knowledge exchange activities. My research interests include areas such as EU politics and public policy, European children’s rights, EU human rights policy, EU enlargement, comparative European politics, EU and civil society, international children’s rights, post-communist transition, corruption and anti-corruption reforms, and Central and East European politics. My research interests have been brought together under several major research projects along with my doctoral research. I was an ESRC postdoctoral fellow (2011-2012, Univ of Sheffield) and my ESRC project examined the impact of Eastern enlargement on the EU human rights regime, with a key focus on EU child rights policy. I also worked (alongside Prof. Jean Grugel and PPMI (Vilnius)) on a European Commission consultancy project (2010-2011) which evaluated the impact of EU instruments on the protection of child rights at the national level. Most recently, I was awarded (together with Dr Helen Stalford) an ESRC research seminar series grant (£30,000,project titled: European Responses to Global Children's Rights Issues: Exchanging Knowledge and Building Capacity, Nov.2013-Nov.2015) to run a series of high impact, interdisciplinary workshops, focusing on the protection of children as consumers, child-friendly justice, child migration, child employment and labour and the impact of the global economic crisis on child welfare. The seminars will generate significant opportunities for knowledge exchange with key legal and policy makers within the European institutions. Stalford, H., & Iusmen, I. (Eds.) (2016). The EU as a children’s rights actor. Law, policy and structural dimensions. Leverkusen, DE: Budrich Academic. Iusmen, I. (Accepted/In press). Children’s Rights, Eastern Enlargement, and the EU Human Rights Regime. Manchester, GB: Manchester University Press. Iusmen, I. (Accepted/In press). How are children’s rights (mis)interpreted in practice? The EU, children’s rights and policy narratives’. In R. Rhodes (Ed. ), Narrative Policy Analysis - Cases in Decentred Policy Basingstoke: Palgrave Macmillan. Stalford, H., & Iusmen, I. (2016). Conclusion: how can the EU be a better children’s rights actor? In I. Iusmen, & H. Stalford (Eds. ), The EU as a Children’s Rights Actor: Law, Policy and Structural Dimensions (pp. 311-324). Leverkusen, DE: Barbara Budrich Publishers. Iusmen, I., & Stalford, H. (2016). Introduction: the EU as a children’s rights actor: law, policy and structural dimensions. In I. Iusmen, & H. Stalford (Eds. ), The EU as a Children’s Rights Actor: Law, Policy and Structural Dimensions (pp. 9-18). Leverkusen, DE: Baraara Budrick Publichesters. Iusmen, I. (2016). The EU and the de-institutionalisation of children. In I. Iusmen, & H. Stalford (Eds. ), The EU as a Children’s Rights Actor: Law, Policy and Structural Dimensions (pp. 165-190). Leverkusen, DE: Barbara Budrich Publishers. Iusmen, I. (2013). The EU and the global promotion of children’s rights norms. In A. Boening, J-F. Kremer, & A. van Loon (Eds. ), Global Power Europe [2 Volumes] (Global Power Shift). Heidelberg, DE: Springer. Iusmen, I. (2009). The transformation of child protection in Romania: institutions, instruments, and the dynamics of change. In S. Fischer, & H. Pleines (Eds. ), The EU and Central & Eastern Europe: Successes and Failures of Europeanization in Politics and Society (pp. 51-64). Stuttgart, DE: Ibidem Publishers. Iusmen, I. (2008). A credible EU involvement with human rights? In J. Niznik (Ed. ), The Normative Environment of European Integration: Social, Political, and Cultural Obstacles to Compliance with European Norms Warsaw, PL: IFIS Publishers. Iusmen, I. (Accepted/In press). EU Asylum Policies. The Power of Strong Regulating States, by Natascha Zaun. JCMS: Journal of Common Market Studies, 56(5). Iusmen, I. (2017). Book Review: Social Policy in the European Union. Journal of Contemporary European Research, 13(1), 1001-1003.